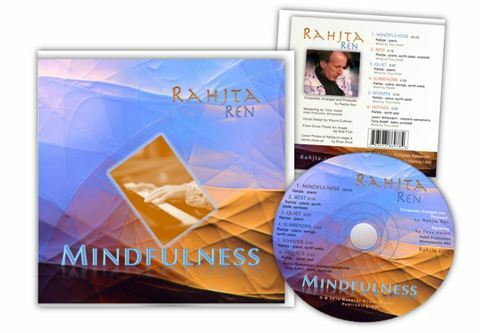 ​The title cut 'Mindfulness'(39:45) was originally performed by Rahjta as a piano improvisation within a live interactive Yoga session with Kristy Blick, M.S. Kristy shares that "this experimental session has resulted in a moving, synergistic experience and exquisite piece of music that will certainly assist others in their own meditation and quest for healing. " Kristy is an exercise physiologist, cardiac rehab therapist, Healing Touch practitioner and yoga teacher. She creates a cohesion in her work by bridging the art, science and compassion of her disciplines.